Summer is finally here! It looks like the warm weather is here to stay, and I can finally put up the sweaters and start enjoying the outdoors. One of our favorite summer activities is grilling out. We love to fire up the grill and relax on the patio with an adult beverage. 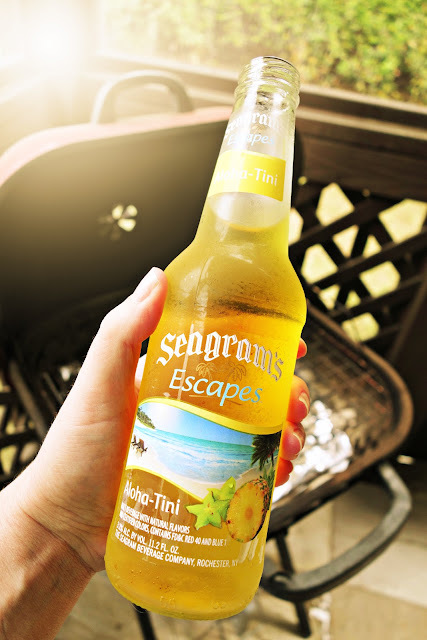 Recently, Seagram’s gave me the opportunity to review Seagram’s Escapes line of drinks. I sampled all of the flavors in bottles (not all at one time). My favorite was the Aloha-Tini. I really wanted to try this one because I thought the name was so much fun! I was worried that I wouldn’t like it because it has starfruit and pineapple flavors in it. I am not a big pineapple juice fan. OMG! It was great. It was light and refreshing. I loved it! My second favorite was the Black Cherry Cherry Fizz. It was super delicious and easy to drink. Even Chicken Legs liked this one. I immediately froze the Jamaican Me Happy. I just LOVE the name. It sounded like the perfect summer drink! I was right, it was delicious! 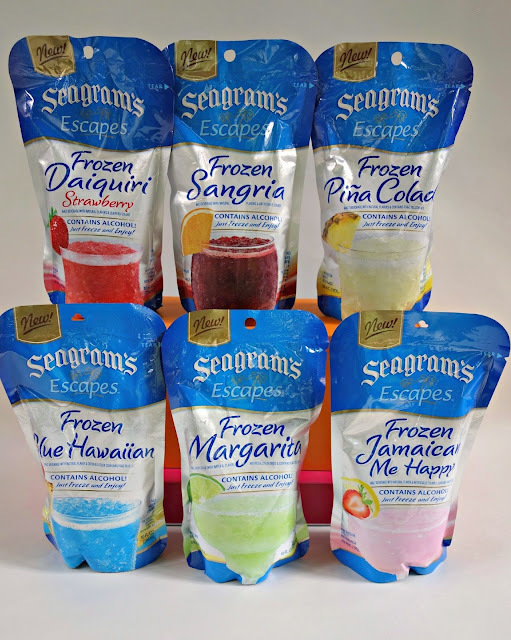 Making the frozen drinks couldn’t have been any easier. Just put the pouch in the freezer and freeze for eight hours. Voila! 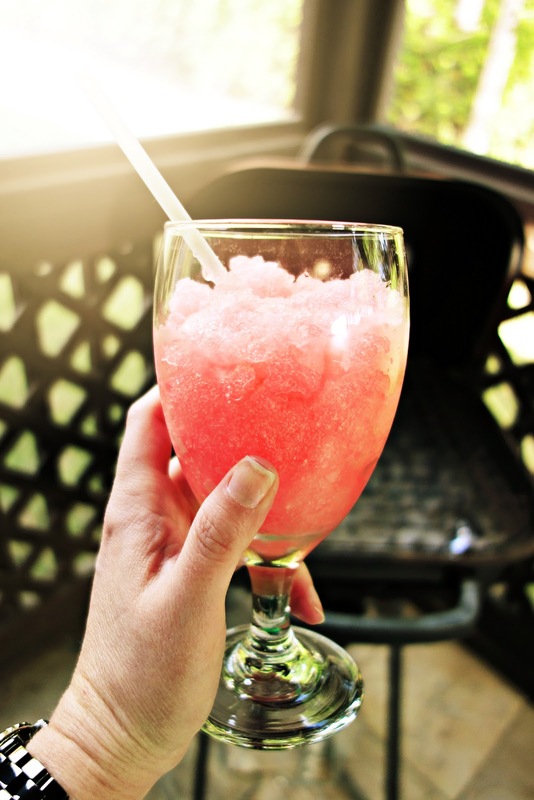 A frozen cocktail without a blender or any cleanup (win, win!). These would also be good for tailgating (I’m always thinking about tailgating!). Toss the frozen pouches into the cooler and they should be perfectly slushy by the time you get to the parking lot. Touchdown! I then decided to have a few friends over and share the joy. 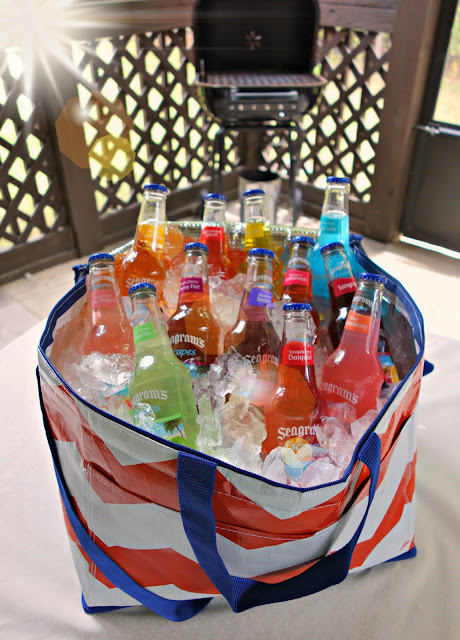 I iced down the bottles and threw the frozen pouches into the freezer a few hours before everyone arrived. 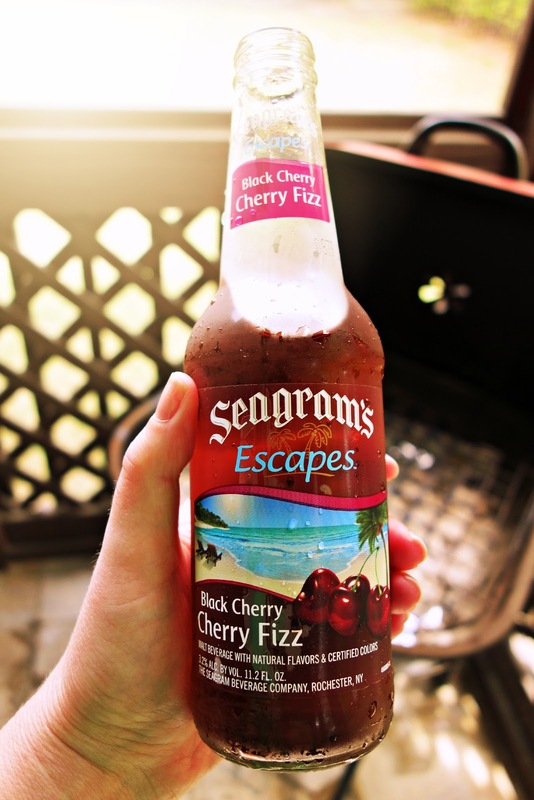 We grilled out burgers and sampled the Seagram’s Escapes. It was so much fun. Everyone loved them. I especially appreciate how easy it was to set up the party drinks. Since I didn’t have to worry about the drinks, I had plenty of time to make some finger foods and chips & dip before the guests arrived. 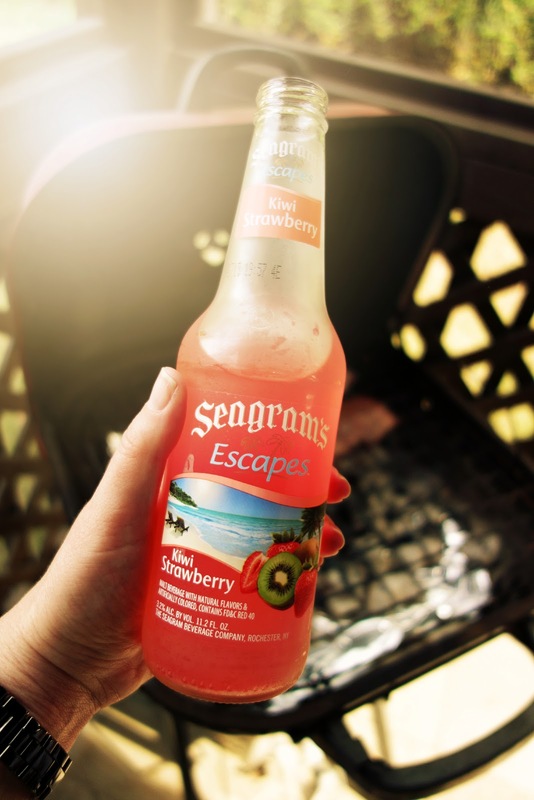 Seagram’s Escapes will be my go-to drink this Summer! 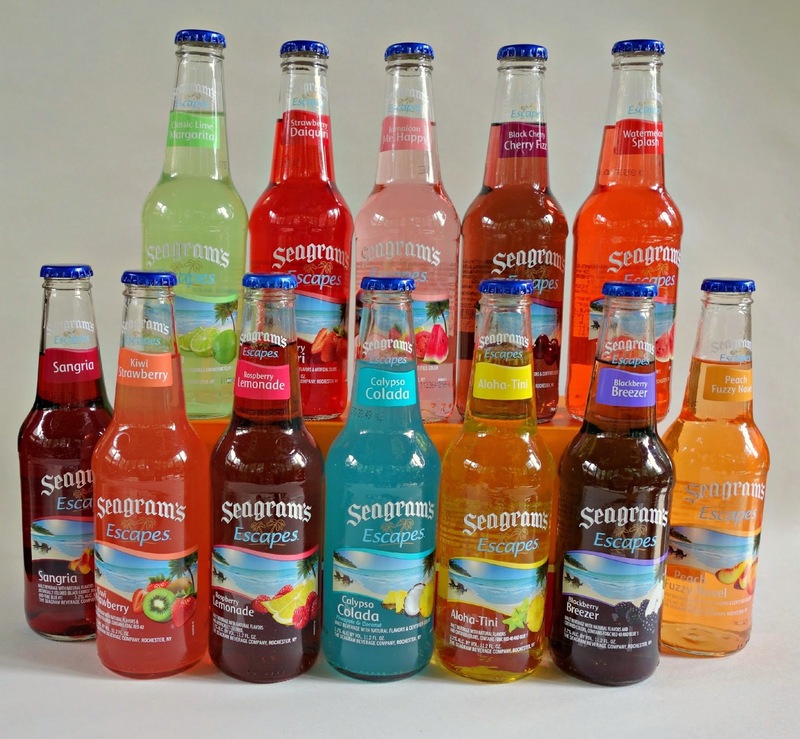 Visit Seagram's Escapes or like them on Facebook to see a complete list of flavors and find a store near you. Oh that frozen drink looks heavenly!! I've tried the Bailey's frozen pouches, but I'm hoping these are MUCH better! I just bought a couple of flavors the other day...there was a huge display at Wal-Mart that sucked me right in! They are fun to have pool-side...not too strong and refreshing! I haven't seen the frozen ones yet. Peach Fuzzy Navel is my favorite. I grab these on the clearance rack at Kroger's whenever I see them. I'm too cheap to buy them full price! This looks good. Getting ready for the grill party on the 4th? We're having a Burger Bash at Tumbleweed Contessa and I'd love to have your burger on our menu. Come on over. Alexis likes the frozen ones a lot! Convenient and delicious.